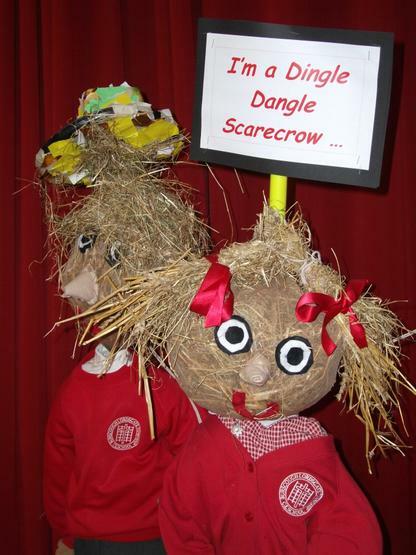 Reception—Scarecrows; the class sung ‘Dingle Dangle Scarecrow’ fantastically and their behaviour in church was excellent for their first school service. Year 2—Used the word HARVEST to talk about SHARE, HAVE and STARVE. 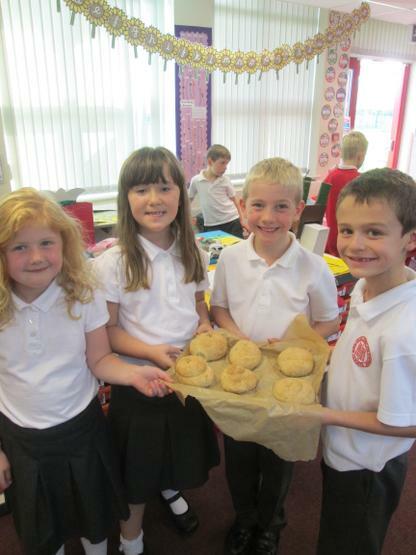 They had also baked bread during the week. Year 3—Have been doing a topic on farming and have been particularly obsessed with farm machinery this week! 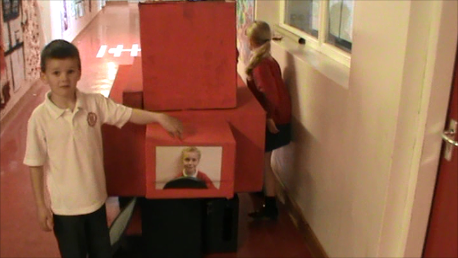 Their 3D model of a combine harvester was an excellent centre piece to the service. 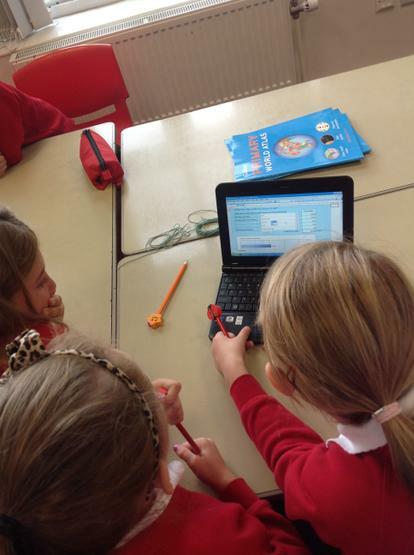 Year 4—Had been looking at Food Miles on the computers and calculating the distance food travels from source to shelf. Year 6—Lucy and Chloe did a great job hosting the service and the children had made up versions of the ‘Parable of the Sower’. 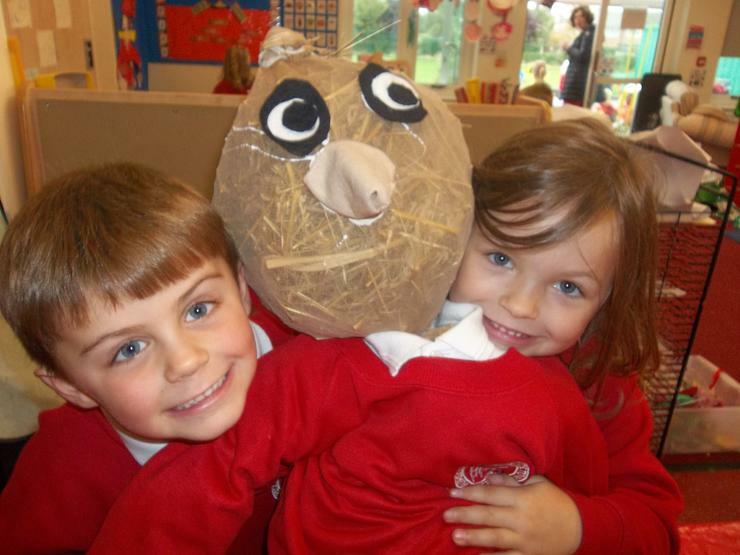 Well done to all the classes for super work. Special thanks to Mrs Hughes who worked with the Junior choir to produce a beautiful arrangement of ‘Harvest for the World’. 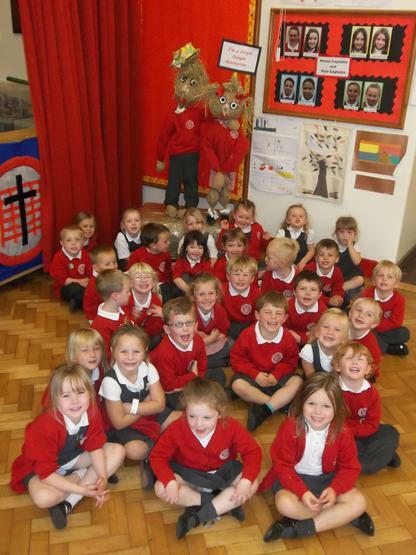 St John’s church always set us the challenge of raising money for the various charities they are supporting at harvest time. This year we were raising funds for the Royal Agricultural Benevolent Institution (RABI) to support Britain's farmers and the Tearfund appeal (“The Choice”) to support communities in Cambodia . Mr Allday has worked tirelessly to attract various local suppliers to provide goods for the market and stalls were stocked with produce from Lancashire Bakery (in the Wharf), Fiddlers Crisps, Cabbage Box home delivery scheme, Nelson’s Farm, as well as generous donations from our parents. The market was a big success with many of the items being sold out before the end of the day. Mr Allday would like to thank all the people who provided goods for the market as well as his helpers on the day. Special thanks to Mrs Nelson who not only provided produce for the market but also stayed to help all day. I am very please to announce that due to everyone’s generosity we raised £250 for RABI and the Tear fund. Thank you everyone and well done to Mr Allday for organising such as successful event.